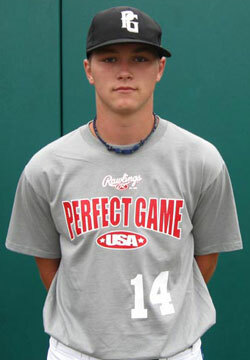 Morgan Boles is a 2010 RHP/3B/2B with a 6'0'', 175 lb. frame from Lawsonville, NC who attends Patrick County. Athletic build, showed a good feel for pitching, short clean arm action, late tailing action on fastball, groundball pitcher that works down in the zone, has a feel for two quality breaking balls, tight 11 to 5 curveball and a hard 10 to 4 slider with depth, good arm speed on change-up, plus command, polished pitcher, sound hitting fundamentals, good balance and extension, shows good bat speed at times, turns on the ball easily, good athlete in the field, short quick arm action, good release, solid actions.